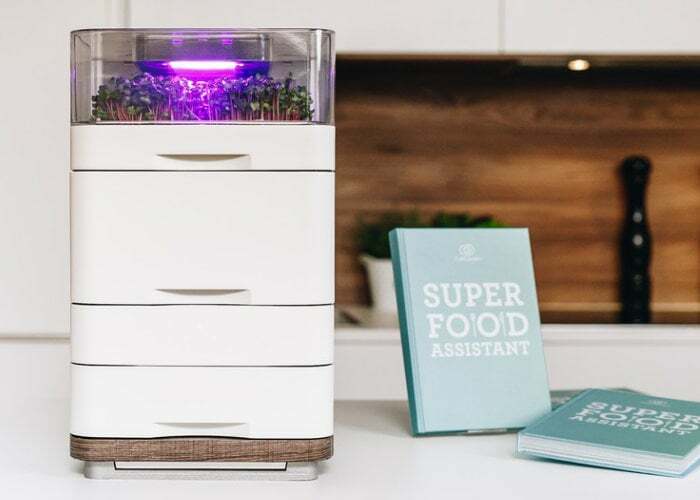 Cell Garden based in Aalen, Germany has created a new indoor Smart Garden system that allows you to grow fresh super foods directly on your countertop. Watch the demonstration video below which will explain how you can effortlessly sprout edible herbs, nuts, and microgreens in just a few days. Smart Garden as this week launched via Kickstarter and is available to back with earlybird pledges available from €99 or roughly £86 offering a massive €300 saving off the recommended retail price of €399. 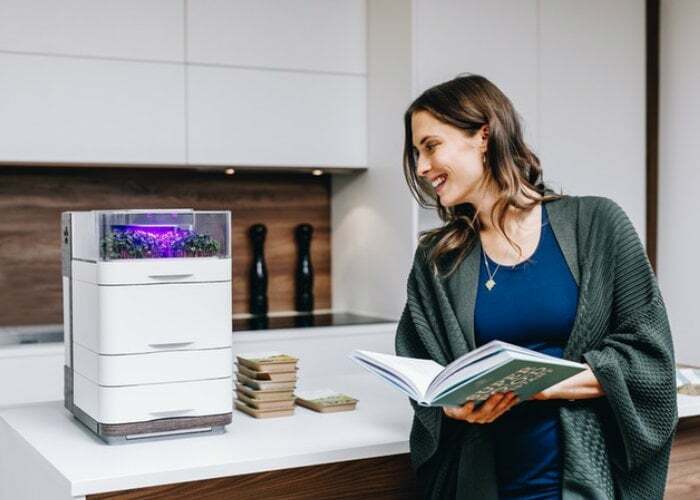 The automated growing system enables you to always have healthy food available for snacks and meals. Using the three different trays a variety of different sustainable super foods can be grown. In the top tray, with daylight and special LED light, you can grow microgreens such as radishes, alfalfa or broccoli. The middle tray is particularly suitable for growing sprouts from buckwheat, oats, chickpeas, lentils and mung beans. In the lower tray, rice, white beans or nuts can soak. – The growth medium is made of natural, renewable materials, and are biodegradable. After harvesting the Cell Garden Pod can be thrown in compost bins, so Cell One is easy to maintain and keep clean. – No soil or additional substrates are needed for germination. All of the nutrients at the early microgreen stage come from the seed itself. This ensures each pod is perfectly clean, and ready to snip and eat. – To assure you the best crop we have selected high quality seeds that are organic, non-GMO and untreated (99% germinable). – No experience required – Peel the top and pop ’em in! For more details and full specifications jump over to the official Kickstarter campaign page.